PistaHouse is a celebration of Indian culture, flavours & hospitality. Immerse yourself in a sensory spice experience & awaken your tastebuds with our modern Indian menu, showcasing the very best of India's exotic flavours. We believe that the best form of hospitality is that found in the home, and it is our aim to bring that welcoming, relaxed environment to our guests at PistaHouse. Our food is inspired by traditional Indian dishes, served with a modern twist, and we pride ourselves on using the freshest, most seasonal produce. PistaHouse specalizes in all types of indian food ranging from vegetarian, non-vegetarian to sea foods. Ours is one of the authentic food chains across north america. Please have a look at our menu below for your taste buds to tingle. Browse our menu and call to order in advance. If you don’t mind a short wait, just pop in and order in person. You can also order online for collection or home delivery at Just Eat. We are dedicated to providing you with the finest Indian food and service available. 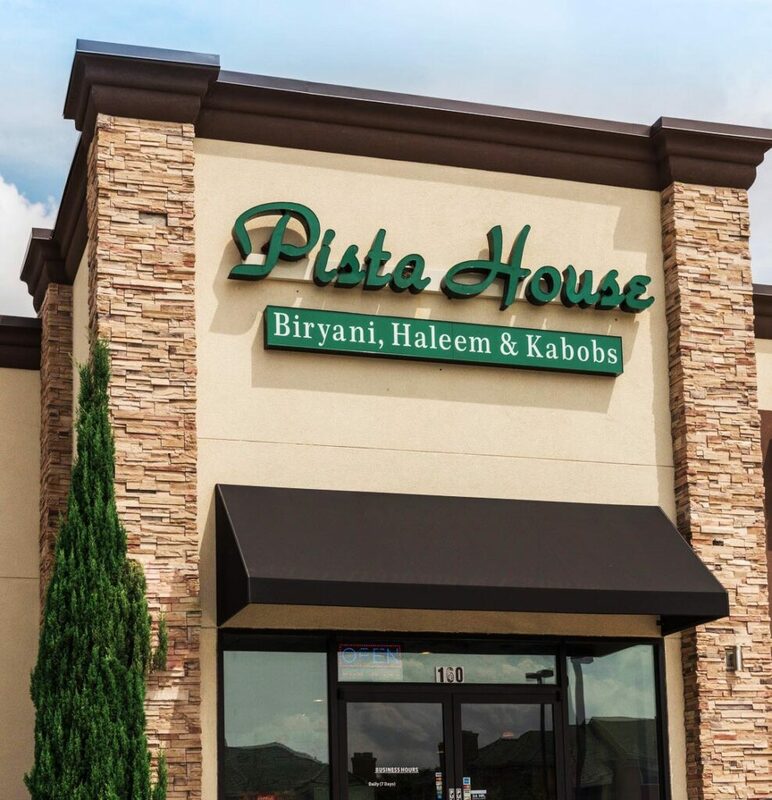 With ever growing popularity PistaHouse has started giving franchise to the interested personal. Soon we are going to open our franchises across other texas locations from dallas to houston. Know someone you love like indian food? Then think no more and present them with our lifetime validity giftcards. Giftcards can be bought at the restaurant. Hello, we love to hear from our customers, if you got a minute please leave your feedback, comments, suggestions anything and help us grow.